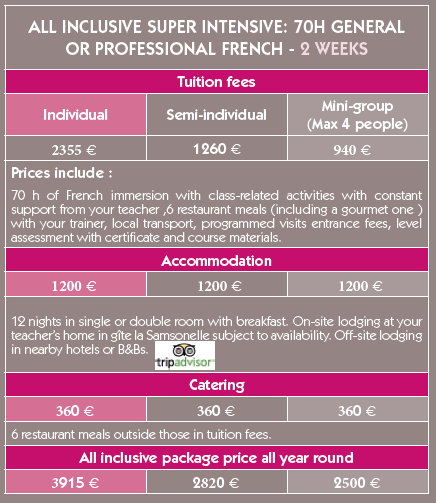 Parfum de France offers a wide range of top-quality French and English courses tailored to corporate or individual stu- dents, with the emphasis on effective communication in practical situations: individual or semi-individual tuition, face to face or on the telephone, small group classes or conversation around a meal. 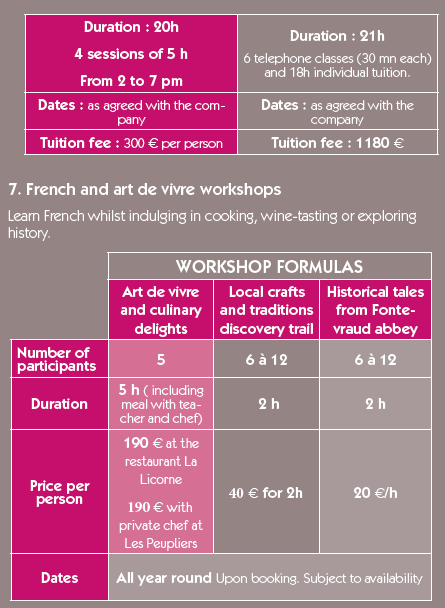 You can either study all year round, for a few months, for a week or two, or during a workshop. 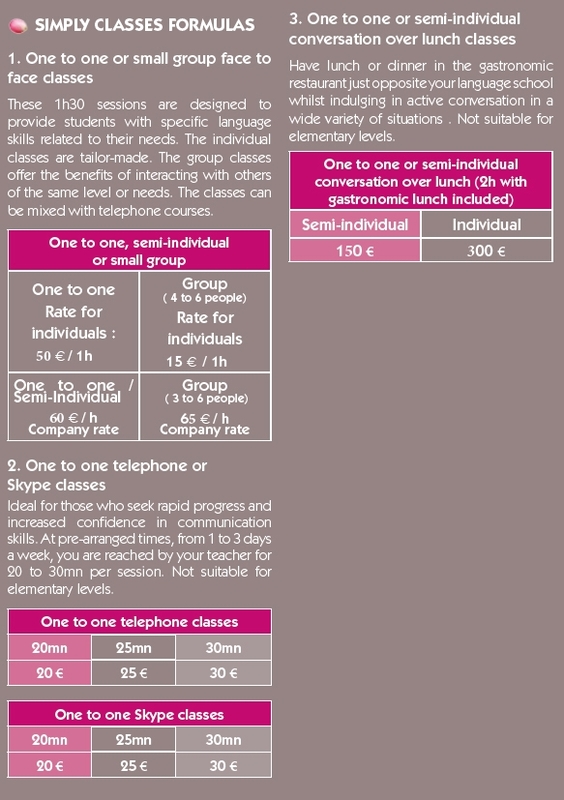 At Parfum de France language learning succeeds thanks to the intimate discovery of language and culture with constant support from your skilled teacher. 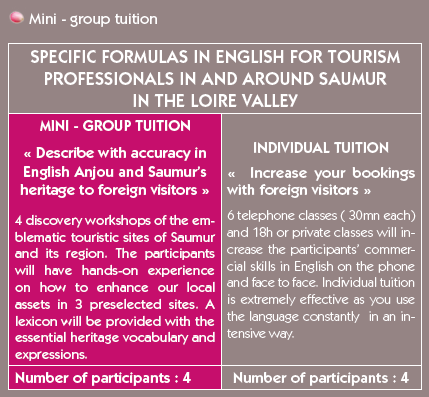 Courses are held either in a dedicated classroom at the language school in Fontevraud or in your company or even at your home. All levels are welcome.